Colorful, self-stick flags mark important information in documents, books, newspapers, or magazines. Clear side of flag can be used for writing notes using ballpoint pens or permanent markers. 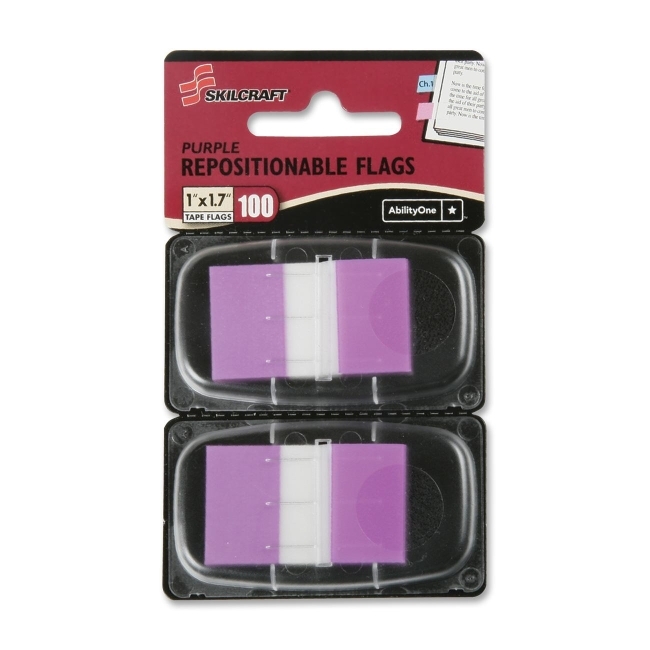 Flags are removable, repositionable and reusable. Flags are dispensed one at a time with the included dispenser. Each dispenser contains 50 flags. Product packaging is made using 70 percent total recycled material.